With the holiday season now in full swing, officials from the Nevada Department of Public Safety are again reminding the public about the hazards of drinking and driving. 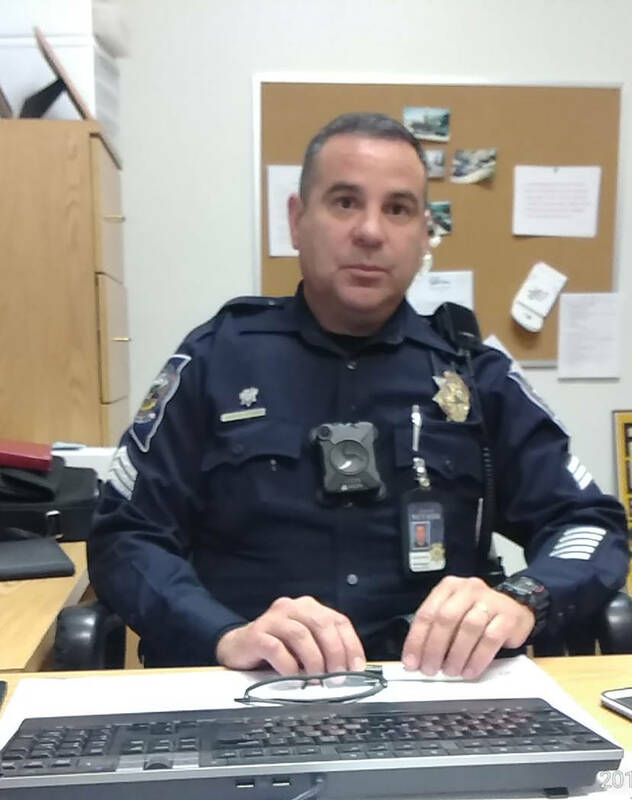 Selwyn Harris/Pahrump Valley Times NHP Sgt. Carlos Rivera, a 24-year veteran, said troopers are again patrolling the roadways with extra scrutiny, to help prevent DUI-caused collisions this year. David Becker/Las Vegas Review-Journal file This file photo shows a DUI checkpoint. In an interview, Trooper Rivera spoke of the importance of wearing seatbelts while traveling the roadways. 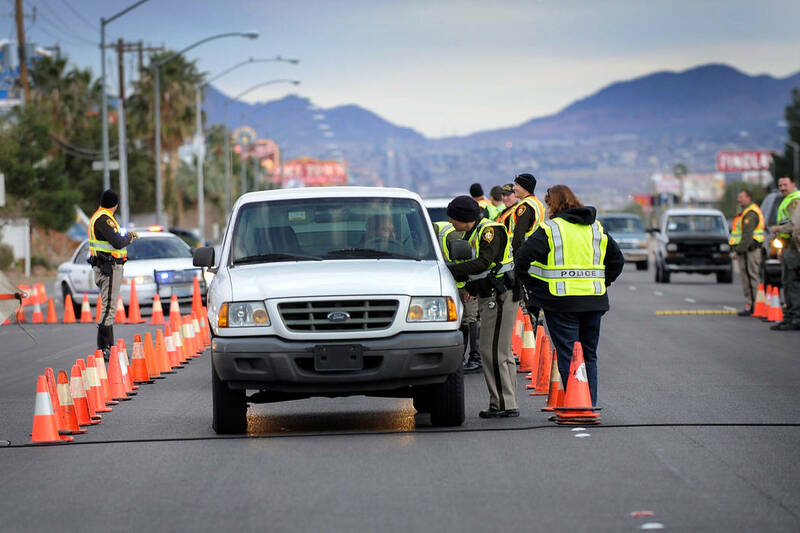 Preliminary numbers from the agency show that 303 traffic fatalities occurred on Nevada roadways in 2017, down from 330 deaths the previous year. As such, NHP Sgt. Carlos Rivera, a 24-year veteran, said troopers are again patrolling the roadways with extra scrutiny, to prevent DUI-caused collisions this year. During his two-plus-decade career, Rivera said he, unfortunately, has seen his share of fatal DUI-related accidents. Rivera also noted that though working the scene of a fatal DUI crash is always unfortunate, he addressed another regrettable aspect of his job, once the scene is clear. Additionally, Rivera spoke of other causes of both fatal and non-fatal motor vehicle collisions. Enforcing laws and educating drivers were also additional topics of discussion for Rivera. Though Rivera did not initially embrace the idea of installing roundabouts along Highway 372, he now believes the traffic circles have actually reduced the number of collisions at the former intersections along Blagg Road and Pahrump Valley Boulevard. On a final note, Rivera spoke of the importance of wearing seatbelts while traveling the roadways.